The store will open in Manhattan, and act as a same-day delivery hub. The Wall Street Journal (paywall) is reporting that Amazon will finally open a brick-and-mortar retail store, and the flagship is finding a home in midtown Manhattan. The location will put Amazon's storefront within spitting distance of the Empire State Building, and Macy's flagship location, on 34th Street. 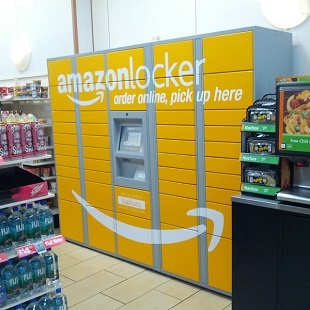 While other aspects of retail are sure to surface eventually for Amazon, this store is (for now) merely a physical face on Amazon's day-to-day operations. The three primary duties of the store are all tied to Amazon's online presence, including accepting returns of items bought online, acting as a pick-up hub for items ordered online, and a mini warehouse for same-day/Amazon Fresh delivery items. Circling back to the future of retail, it would not be a surprise to see Amazon displaying its own products on the store's showroom floor. Kindle Fire tablets, eReaders and the Fire Phone all come to mind. If this Amazon store (it's more of a hub, really) takes off, you can expect to see similar locations pop up elsewhere in NYC, as well as other cities -- Los Angeles, Seattle, and San Francisco, in particular. Once the retail experiment is deemed a success, then Amazon can expand into a more traditional brick-and-mortar operation (if it wants to).